I would so love to be wrong. In fact, it would be brilliant if I were wrong. I would even do the Highland Fling on our hospital rooftop if I were wrong, but I cannot shake the feeling that inviting the Duchess of Cambridge to big up the nursing profession is whistling into the wind when more consequential efforts should be made to keep nurses nursing. 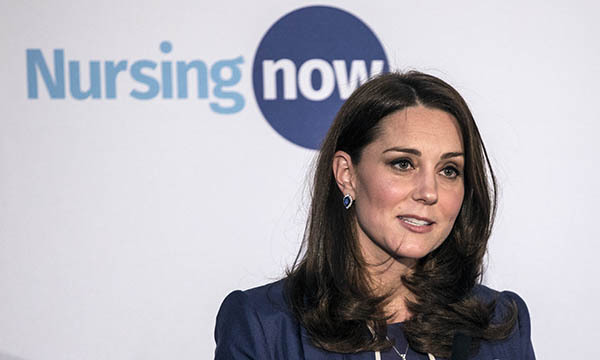 I am talking about Nursing Now – a three-year campaign to boost the status of nursing across the globe, which the Duchess helped launch at St Thomas’ Hospital in London at the end of February. Wouldn’t the campaign money be better spent elsewhere? The Duchess of Cambridge seems like a lovely person, a worthy ambassador for any cause, but I do wonder whether the energy and cash put into this scheme could be better spent. Her involvement will be meaningless to our employers, so will have little impact on our working lives. And although it may inspire some new recruits, they are unlikely to stay motivated and supported unless there is a fundamental change in the way nurses are treated. Will the campaign raise our morale and prevent us from feeling undervalued? Possibly. But it is not low morale that is causing many of us to leave, it is the unsustainable lifestyle that many nurses in the 21st century are expected to lead. We live in celebrity-obsessed times, where the endorsement of someone high-profile is supposed to be enough to keep us sweet. I would rather have an extra member of staff so I can get off duty on time. Miserable old cynic that I am, I cannot help but think this is all smoke and mirrors because no one has the resources to tackle the real issues. I would so love to be wrong.